Přednosta: Prof. RNDr. Ivan Raška, DrSc. 1971-1975 Ústav experimentální medicíny, Československá akademie věd (CSc. v buněčné biologii, školitel K. Smetana). Funkce: přednosta Ústavu buněčné biologie a patologie na První lékařské fakultě Univerzity Karlovy v Praze. Farkaš R, Beňová-Liszeková D, Mentelová L, Beňo M, Babišová K, Trusinová-Pečeňová L, Raška O, Chase BA, Raška I. Endosomal vacuoles of the prepupal salivary glands of Drosophila play an essential role in the metabolic reallocation of iron. Dev Growth Differ. 2018 Aug 19. doi: 10.1111/dgd.12562. [Epub ahead of print] PubMed PMID: 30123964. Vacík T, Lađinović D, Raška I. KDM2A/B lysine demethylases and their alternative isoforms in development and disease. Nucleus. 2018 Jul 30. doi: 10.1080/19491034.2018.1498707. [Epub ahead of print] PubMed PMID: 30059280. Bártová E, Legartová S, Krejčí J, Řezníčková P, Kovaříková AS, Suchánková J, Fedr R, Smirnov E, Hornáček M, Raška I. Depletion of A-type lamins and Lap2α reduces 53BP1 accumulation at UV-induced DNA lesions and Lap2α protein is responsible for compactness of irradiated chromatin. J Cell Biochem. 2018 Jun 19. doi: 10.1002/jcb.26770. [Epub ahead of print] PubMed PMID: 29923310. Heinz KS, Casas-Delucchi CS, Török T, Cmarko D, Rapp A, Raska I, Cardoso MC. Peripheral re-localization of constitutive heterochromatin advances its replication timing and impairs maintenance of silencing marks. Nucleic Acids Res. 2018 Jul 6;46(12):6112-6128. doi: 10.1093/nar/gky368. PubMed PMID: 29750270. Jäger A, Jäger E, Syrová Z, Mazel T, Kováčik L, Raška I, Höcherl A, Kučka J, Konefal R, Humajova J, Poučková P, Štěpánek P, Hrubý M. Poly(ethylene oxide monomethyl ether)- block-poly(propylene succinate) Nanoparticles: Synthesis and Characterization, Enzymatic and Cellular Degradation, Micellar Solubilization of Paclitaxel, and in Vitro and in Vivo Evaluation. Biomacromolecules. 2018 Jul 9;19(7):2443-2458. doi: 10.1021/acs.biomac.8b00048. Epub 2018 Apr 11. PubMed PMID: 29601729. Klepac D, Kostková H, Petrova S, Chytil P, Etrych T, Kereïche S, Raška I, Weitz DA, Filippov SK. Interaction of spin-labeled HPMA-based nanoparticles with human blood plasma proteins - the introduction of protein-corona-free polymer nanomedicine. Nanoscale. 2018 Mar 29;10(13):6194-6204. doi: 10.1039/C7NR09355A. PubMed PMID: 29560983. Smirnov E, Hornáček M, Vacík T, Cmarko D, Raška I. Discontinuous transcription. Nucleus. 2018 Jan 1;9(1):149-160. doi: 10.1080/19491034.2017.1419112. PubMed PMID: 29285985; PubMed Central PMCID: PMC5973254. Lađinović D, Novotná J, Jakšová S, Raška I, Vacík T. A demethylation deficient isoform of the lysine demethylase KDM2A interacts with pericentromeric heterochromatin in an HP1a-dependent manner. Nucleus. 2017 Sep 3;8(5):563-572. doi: 10.1080/19491034.2017.1342915. Epub 2017 Aug 17. Erratum in: Nucleus. 2018 Jan 1;9(1):291. PubMed PMID: 28816576; PubMed Central PMCID: PMC5703260. Hornáček M, Kováčik L, Mazel T, Cmarko D, Bártová E, Raška I, Smirnov E. Fluctuations of pol I and fibrillarin contents of the nucleoli. Nucleus. 2017 Jul 4;8(4):421-432. doi: 10.1080/19491034.2017.1306160. Epub 2017 Jun 16. PubMed PMID: 28622108; PubMed Central PMCID: PMC5597295. Bártová E, Suchánková J, Legartová S, Malyšková B, Hornáček M, Skalníková M, Mašata M, Raška I, Kozubek S. PCNA is recruited to irradiated chromatin in late S-phase and is most pronounced in G2 phase of the cell cycle. Protoplasma. 2017 Sep;254(5):2035-2043. doi: 10.1007/s00709-017-1076-1. Epub 2017 Jan 20. PubMed PMID: 28168519. Vacik T, Raska I. Alternative intronic promoters in development and disease. Protoplasma. 2017 May;254(3):1201-1206. doi: 10.1007/s00709-016-1071-y. Epub 2017 Jan 11. Review. PubMed PMID: 28078440. Kereïche S, Kováčik L, Bednár J, Pevala V, Kunová N, Ondrovičová G, Bauer J, Ambro Ľ, Bellová J, Kutejová E, Raška I. The N-terminal domain plays a crucial role in the structure of a full-length human mitochondrial Lon protease. Sci Rep. 2016 Sep 16;6:33631. doi: 10.1038/srep33631. PubMed PMID: 27632940; PubMed Central PMCID: PMC5025710. Trousil J, Filippov SK, Hrubý M, Mazel T, Syrová Z, Cmarko D, Svidenská S, Matějková J, Kováčik L, Porsch B, Konefał R, Lund R, Nyström B, Raška I, Štěpánek P. System with embedded drug release and nanoparticle degradation sensor showing efficient rifampicin delivery into macrophages. Nanomedicine. 2017 Jan;13(1):307-315. doi: 10.1016/j.nano.2016.08.031. Epub 2016 Sep 6. PubMed PMID: 27613399. Legartová S, Sehnalová P, Malyšková B, Küntziger T, Collas P, Cmarko D, Raška I, Sorokin DV, Kozubek S, Bártová E. Localized Movement and Levels of 53BP1 Protein Are Changed by γ-irradiation in PML Deficient Cells. J Cell Biochem. 2016 Nov;117(11):2583-96. doi: 10.1002/jcb.25551. Epub 2016 Aug 16. PubMed PMID: 27526954. Farkaš R, Pečeňová L, Mentelová L, Beňo M, Beňová-Liszeková D, Mahmoodová S, Tejnecký V, Raška O, Juda P, Svidenská S, Hornáček M, Chase BA, Raška I. Massive excretion of calcium oxalate from late prepupal salivary glands of Drosophila melanogaster demonstrates active nephridial-like anion transport. Dev Growth Differ. 2016 Aug;58(6):562-74. doi: 10.1111/dgd.12300. Epub 2016 Jul 11. PubMed PMID: 27397870. Smirnov E, Hornáček M, Kováčik L, Mazel T, Schröfel A, Svidenská S, Skalníková M, Bartová E, Cmarko D, Raška I. Reproduction of the FC/DFC units in nucleoli. Nucleus. 2016 Apr 25;7(2):203-15. doi: 10.1080/19491034.2016.1157674. Epub 2016 Mar 2. PubMed PMID: 26934002; PubMed Central PMCID: PMC4916892. Smirnov E, Cmarko D, Mazel T, Hornáček M, Raška I. Nucleolar DNA: the host and the guests. Histochem Cell Biol. 2016 Apr;145(4):359-72. doi: 10.1007/s00418-016-1407-x. Epub 2016 Feb 4. Review. PubMed PMID: 26847178. Sorokin DV, Stixová L, Sehnalová P, Legartová S, Suchánková J, Šimara P, Kozubek S, Matula P, Skalníková M, Raška I, Bártová E. Localized movement and morphology of UBF1-positive nucleolar regions are changed by γ-irradiation in G2 phase of the cell cycle. Nucleus. 2015;6(4):301-13. doi: 10.1080/19491034.2015.1075111. Epub 2015 Jul 24. PubMed PMID: 26208041; PubMed Central PMCID: PMC4615213. Farkaš R, Beňová-Liszeková D, Mentelová L, Mahmood S, Ďatková Z, Beňo M, Pečeňová L, Raška O, Šmigová J, Chase BA, Raška I, Mechler BM. Vacuole dynamics in the salivary glands of Drosophila melanogaster during prepupal development. Dev Growth Differ. 2015 Jan;57(1):74-96. doi: 10.1111/dgd.12193. Epub 2015 Jan 22. PubMed PMID: 25611296. Stixová L, Sehnalová P, Legartová S, Suchánková J, Hrušková T, Kozubek S, Sorokin DV, Matula P, Raška I, Kovařík A, Fulneček J, Bártová E. HP1β-dependent recruitment of UBF1 to irradiated chromatin occurs simultaneously with CPDs. Epigenetics Chromatin. 2014 Dec 30;7(1):39. doi: 10.1186/1756-8935-7-39. eCollection 2014. PubMed PMID: 25587355; PubMed Central PMCID: PMC4293114. Smirnov E, Borkovec J, Kováčik L, Svidenská S, Schröfel A, Skalníková M, Švindrych Z, Křížek P, Ovesný M, Hagen GM, Juda P, Michalová K, Cardoso MC, Cmarko D, Raška I. Separation of replication and transcription domains in nucleoli. J Struct Biol. 2014 Dec;188(3):259-66. doi: 10.1016/j.jsb.2014.10.001. Epub 2014 Oct 17. PubMed PMID: 25450594. Kováčik L, Kereïche S, Matula P, Raška I. Sub-volume averaging of repetitive structural features in angularly filtered electron tomographic reconstructions. Folia Biol (Praha). 2014;60 Suppl 1:66-70. PubMed PMID: 25369344. Kereïche S, Kováčik L, Pevala V, Ambro L, Bellová J, Kutejová E, Raška I. Three-dimensional reconstruction of the S885A mutant of human mitochondrial Lon protease. Folia Biol (Praha). 2014;60 Suppl 1:62-5. PubMed PMID: 25369343. Smigová J, Juda P, Krejčí J, Raška I. Structural basis of polycomb bodies. Folia Biol (Praha). 2014;60 Suppl 1:13-20. Review. PubMed PMID: 25369336. Pagáčová E, Falk M, Falková I, Lukášová E, Michalová K, Oltová A, Raška I, Kozubek S. Frequent chromatin rearrangements in myelodysplastic syndromes--what stands behind? Folia Biol (Praha). 2014;60 Suppl 1:1-7. Review. PubMed PMID: 25369334. Lizcova L, Zemanova Z, Lhotska H, Zuna J, Hovorkova L, Mejstrikova E, Malinova E, Rabasova J, Raska I, Sramkova L, Stary J, Michalova K. An unusual case of high hyperdiploid childhood ALL with cryptic BCR/ABL1 rearrangement. Mol Cytogenet. 2014 Oct 24;7(1):72. doi: 10.1186/s13039-014-0072-9. eCollection 2014. PubMed PMID: 25360156; PubMed Central PMCID: PMC4213530. Juda P, Smigová J, Kováčik L, Bártová E, Raška I. Ultrastructure of cytoplasmic and nuclear inosine-5'-monophosphate dehydrogenase 2 "rods and rings" inclusions. J Histochem Cytochem. 2014 Oct;62(10):739-50. doi: 10.1369/0022155414543853. Epub 2014 Jun 30. PubMed PMID: 24980853. Schröfel A, Kratošová G, Šafařík I, Šafaříková M, Raška I, Shor LM. Applications of biosynthesized metallic nanoparticles - a review. Acta Biomater. 2014 Oct;10(10):4023-42. doi: 10.1016/j.actbio.2014.05.022. Epub 2014 Jun 9. Review. PubMed PMID: 24925045. Farkaš R, Ďatková Z, Mentelová L, Löw P, Beňová-Liszeková D, Beňo M, Sass M, Řehulka P, Řehulková H, Raška O, Kováčik L, Šmigová J, Raška I, Mechler BM. Apocrine secretion in Drosophila salivary glands: subcellular origin, dynamics, and identification of secretory proteins. PLoS One. 2014 Apr 14;9(4):e94383. doi: 10.1371/journal.pone.0094383. eCollection 2014. PubMed PMID: 24732043; PubMed Central PMCID: PMC3986406. Kováčik L, Kereïche S, Höög JL, Jůda P, Matula P, Raška I. A simple Fourier filter for suppression of the missing wedge ray artefacts in single-axis electron tomographic reconstructions. J Struct Biol. 2014 Apr;186(1):141-52. doi: 10.1016/j.jsb.2014.02.004. Epub 2014 Feb 17. Erratum in: J Struct Biol. 2014 Jul;187(1):93. Kerïeche, Sami [corrected to Kereïche, Sami]. PubMed PMID: 24556578; PubMed Central PMCID: PMC3991334. Šmigová J, Juda P, Bártová E, Raška I. Dynamics of Polycomb chromatin domains under conditions of increased molecular crowding. Biol Cell. 2013 Nov;105(11):519-34. doi: 10.1111/boc.201300022. Epub 2013 Sep 16. PubMed PMID: 23937274. Popov A, Smirnov E, Kováčik L, Raška O, Hagen G, Stixová L, Raška I. Duration of the first steps of the human rRNA processing. Nucleus. 2013 Mar-Apr;4(2):134-41. doi: 10.4161/nucl.23985. Epub 2013 Feb 14. PubMed PMID: 23412654; PubMed Central PMCID: PMC3621745. Křížek P, Raška I, Hagen GM. Flexible structured illumination microscope with a programmable illumination array. Opt Express. 2012 Oct 22;20(22):24585-99. doi: 10.1364/OE.20.024585. PubMed PMID: 23187221. Korčeková D, Gombitová A, Raška I, Cmarko D, Lanctôt C. Nucleologenesis in the Caenorhabditis elegans embryo. PLoS One. 2012;7(7):e40290. doi: 10.1371/journal.pone.0040290. Epub 2012 Jul 2. PubMed PMID: 22768349; PubMed Central PMCID: PMC3388055. Stixová L, Matula P, Kozubek S, Gombitová A, Cmarko D, Raška I, Bártová E. Trajectories and nuclear arrangement of PML bodies are influenced by A-type lamin deficiency. Biol Cell. 2012 Jul;104(7):418-32. doi: 10.1111/boc.201100053. Epub 2012 May 23. PubMed PMID: 22443097. Farkaš R, Kuchárová-Mahmood S, Mentelová L, Juda P, Raška I, Mechler BM. Cytoskeletal proteins regulate chromatin access of BR-C transcription factor and Rpd3-Sin3A histone deacetylase complex in Drosophila salivary glands. Nucleus. 2011 Sep-Oct;2(5):489-99. doi: 10.4161/nucl.2.5.17888. Epub 2011 Sep 1. PubMed PMID: 21989237. Raška I, Gruenbaum Y, Hermann H, Neugebauer K. Chromatin organization, structure and dynamics. Nucleus. 2011 Sep-Oct;2(5):331. doi: 10.4161/nucl.2.5.17858. Epub 2011 Sep 1. PubMed PMID: 21970985. Smigová J, Juda P, Cmarko D, Raška I. Fine structure of the "PcG body" in human U-2 OS cells established by correlative light-electron microscopy. Nucleus. 2011 May-Jun;2(3):219-28. doi: 10.4161/nucl.2.3.15737. PubMed PMID: 21818415; PubMed Central PMCID: PMC3149882. Meshorer E, Herrmann H, Raška I. Nuclear visions enhanced: chromatin structure, organization and dynamics. EMBO Rep. 2011 Jul 15;12(8):748-50. doi: 10.1038/embor.2011.148. PubMed PMID: 21760615; PubMed Central PMCID: PMC3147274. Mašata M, Juda P, Raška O, Cardoso MC, Raška I. A fraction of MCM 2 proteins remain associated with replication foci during a major part of S phase. Folia Biol (Praha). 2011;57(1):3-11. PubMed PMID: 21457648. Křížek P, Raška I, Hagen GM. Minimizing detection errors in single molecule localization microscopy. Opt Express. 2011 Feb 14;19(4):3226-35. doi: 10.1364/OE.19.003226. PubMed PMID: 21369145. Raška I. Importance of molecular cell biology investigations in human medicine in the story of the Hutchinson-Gilford progeria syndrome. Interdiscip Toxicol. 2010 Sep;3(3):89-93. doi: 10.2478/v10102-010-0018-y. PubMed PMID: 21217880; PubMed Central PMCID: PMC2984137. Seguí-Simarro JM, Corral-Martínez P, Corredor E, Raska I, Testillano PS, Risueño MC. A change of developmental program induces the remodeling of the interchromatin domain during microspore embryogenesis in Brassica napus L. J Plant Physiol. 2011 May 15;168(8):746-57. doi: 10.1016/j.jplph.2010.10.014. Epub 2011 Jan 7. PubMed PMID: 21216028. Smirnov E, Cmarko D, Kováčik L, Hagen GM, Popov A, Raska O, Prieto JL, Ryabchenko B, Amim F, McStay B, Raska I. Replication timing of pseudo-NORs. J Struct Biol. 2011 Feb;173(2):213-8. doi: 10.1016/j.jsb.2010.11.023. Epub 2010 Dec 3. PubMed PMID: 21130882. Bártová E, Horáková AH, Uhlírová R, Raska I, Galiová G, Orlova D, Kozubek S. Structure and epigenetics of nucleoli in comparison with non-nucleolar compartments. J Histochem Cytochem. 2010 May;58(5):391-403. doi: 10.1369/jhc.2009.955435. Epub 2009 Dec 21. Review. PubMed PMID: 20026667; PubMed Central PMCID: PMC2857811. Fidlerová H, Kalinová J, Blechová M, Velek J, Raska I. A new epigenetic marker: the replication-coupled, cell cycle-dependent, dual modification of the histone H4 tail. J Struct Biol. 2009 Jul;167(1):76-82. doi: 10.1016/j.jsb.2009.03.015. Epub 2009 Apr 5. PubMed PMID: 19348949. Zeitz MJ, Marella NV, Malyavantham KS, Goetze S, Bode J, Raska I, Berezney R. Organization of the amplified type I interferon gene cluster and associated chromosome regions in the interphase nucleus of human osteosarcoma cells. Chromosome Res. 2009;17(3):305-19. doi: 10.1007/s10577-009-9023-4. Epub 2009 Mar 13. PubMed PMID: 19283497; PubMed Central PMCID: PMC2688705. Farkas R, Kováciková M, Liszeková D, Beno M, Danis P, Rabinow L, Chase BA, Raska I. Exploring some of the physico-chemical properties of the LAMMER protein kinase DOA of Drosophila. Fly (Austin). 2009 Apr-Jun;3(2):130-42. Epub 2009 Apr 12. PubMed PMID: 19242103. Ligasová A, Raska I, Koberna K. Organization of human replicon: singles or zipping couples? J Struct Biol. 2009 Mar;165(3):204-13. doi: 10.1016/j.jsb.2008.11.004. Epub 2008 Dec 3. PubMed PMID: 19063972; PubMed Central PMCID: PMC2670984. Cvacková Z, Masata M, Stanĕk D, Fidlerová H, Raska I. Chromatin position in human HepG2 cells: although being non-random, significantly changed in daughter cells. J Struct Biol. 2009 Feb;165(2):107-17. doi: 10.1016/j.jsb.2008.10.007. Epub 2008 Nov 12. PubMed PMID: 19056497; PubMed Central PMCID: PMC2658736. Marella NV, Zeitz MJ, Malyavantham KS, Pliss A, Matsui S, Goetze S, Bode J, Raska I, Berezney R. Ladder-like amplification of the type I interferon gene cluster in the human osteosarcoma cell line MG63. Chromosome Res. 2008;16(8):1177-92. doi: 10.1007/s10577-008-1267-x. Epub 2008 Nov 15. PubMed PMID: 19005637; PubMed Central PMCID: PMC2990676. Kalmárová M, Smirnov E, Kovácik L, Popov A, Raska I. Positioning of the NOR-bearing chromosomes in relation to nucleoli in daughter cells after mitosis. Physiol Res. 2008;57(3):421-5. PubMed PMID: 18597585; PubMed Central PMCID: PMC2446408. Cvacková Z, Albring KF, Koberna K, Ligasová A, Huber O, Raska I, Stanek D. Pontin is localized in nucleolar fibrillar centers. Chromosoma. 2008 Oct;117(5):487-97. doi: 10.1007/s00412-008-0170-8. Epub 2008 Jun 12. PubMed PMID: 18548265; PubMed Central PMCID: PMC2564108. Galiová G, Bártová E, Raska I, Krejcí J, Kozubek S. Chromatin changes induced by lamin A/C deficiency and the histone deacetylase inhibitor trichostatin A. Eur J Cell Biol. 2008 May;87(5):291-303. doi: 10.1016/j.ejcb.2008.01.013. Epub 2008 Apr 8. PubMed PMID: 18396346. Kalmárová M, Smirnov E, Masata M, Koberna K, Ligasová A, Popov A, Raska I. Positioning of NORs and NOR-bearing chromosomes in relation to nucleoli. J Struct Biol. 2007 Oct;160(1):49-56. Epub 2007 Jul 12. PubMed PMID: 17698369; PubMed Central PMCID: PMC2446407. Raska I, Shaw PJ, Cmarko D. New insights into nucleolar architecture and activity. Int Rev Cytol. 2006;255:177-235. Review. PubMed PMID: 17178467. Smirnov E, Kalmárová M, Koberna K, Zemanová Z, Malínský J, Masata M, Cvacková Z, Michalová K, Raska I. NORs and their transcription competence during the cell cycle. Folia Biol (Praha). 2006;52(3):59-70. PubMed PMID: 17089916; PubMed Central PMCID: PMC2446406. Gruenbaum Y, Raska I, Herrmann H. The cell nucleus taking centre stage. Workshop on the functional organization of the cell nucleus. EMBO Rep. 2006 Dec;7(12):1211-5. Epub 2006 Oct 27. PubMed PMID: 17068488; PubMed Central PMCID: PMC1794703. Kováciková M, Raska I, Mateásik A, Chase BA, Farkas R. Binding of doa kinase to specific loci in polytene chromosomes of Drosophila melanogaster. Endocr Regul. 2006 Mar;40(1):21-7. PubMed PMID: 16964964. Parrella E, Giannì M, Fratelli M, Barzago MM, Raska I Jr, Diomede L, Kurosaki M, Pisano C, Carminati P, Merlini L, Dallavalle S, Tavecchio M, Rochette-Egly C, Terao M, Garattini E. Antitumor activity of the retinoid-related molecules (E)-3-(4'-hydroxy-3'-adamantylbiphenyl-4-yl)acrylic acid (ST1926) and 6-[3-(1-adamantyl)-4-hydroxyphenyl]-2-naphthalene carboxylic acid (CD437) in F9 teratocarcinoma: Role of retinoic acid receptor gamma and retinoid-independent pathways. Mol Pharmacol. 2006 Sep;70(3):909-24. Epub 2006 Jun 20. PubMed PMID: 16788091. Stavreva DA, Kawasaki M, Dundr M, Koberna K, Müller WG, Tsujimura-Takahashi T, Komatsu W, Hayano T, Isobe T, Raska I, Misteli T, Takahashi N, McNally JG. Potential roles for ubiquitin and the proteasome during ribosome biogenesis. Mol Cell Biol. 2006 Jul;26(13):5131-45. Erratum in: Mol Cell Biol. 2006 Aug;26(16):6308. PubMed PMID: 16782897; PubMed Central PMCID: PMC1489179. Raska I, Shaw PJ, Cmarko D. Structure and function of the nucleolus in the spotlight. Curr Opin Cell Biol. 2006 Jun;18(3):325-34. Epub 2006 May 9. Review. PubMed PMID: 16687244. Giannì M, Parrella E, Raska I Jr, Gaillard E, Nigro EA, Gaudon C, Garattini E, Rochette-Egly C. P38MAPK-dependent phosphorylation and degradation of SRC-3/AIB1 and RARalpha-mediated transcription. EMBO J. 2006 Feb 22;25(4):739-51. Epub 2006 Feb 2. PubMed PMID: 16456540; PubMed Central PMCID: PMC1383562. Raska I Jr, Broulík P. The impact of diabetes mellitus on skeletal health: an established phenomenon with inestablished causes? Prague Med Rep. 2005;106(2):137-48. Review. PubMed PMID: 16315762. Masata M, Malínský J, Fidlerová H, Smirnov E, Raska I. Dynamics of replication foci in early S phase as visualized by cross-correlation function. J Struct Biol. 2005 Jul;151(1):61-8. PubMed PMID: 15894492. Fidlerová H, Masata M, Malínský J, Fialová M, Cvacková Z, Louzecká A, Koberna K, Berezney R, Raska I. Replication-coupled modulation of early replicating chromatin domains detected by anti-actin antibody. J Cell Biochem. 2005 Apr 1;94(5):899-916. PubMed PMID: 15714458. Pliss A, Koberna K, Vecerová J, Malínský J, Masata M, Fialová M, Raska I, Berezney R. Spatio-temporal dynamics at rDNA foci: global switching between DNA replication and transcription. J Cell Biochem. 2005 Feb 15;94(3):554-65. PubMed PMID: 15543556. Koberna K, Ligasová A, Malínský J, Pliss A, Siegel AJ, Cvacková Z, Fidlerová H, Masata M, Fialová M, Raska I, Berezney R. Electron microscopy of DNA replication in 3-D: evidence for similar-sized replication foci throughout S-phase. J Cell Biochem. 2005 Jan 1;94(1):126-38. PubMed PMID: 15523671. Raska I, Koberna K, Malínský J, Fidlerová H, Masata M. The nucleolus and transcription of ribosomal genes. Biol Cell. 2004 Oct;96(8):579-94. Review. PubMed PMID: 15519693. Vecerová J, Koberna K, Malínsky J, Soutoglou E, Sullivan T, Stewart CL, Raska I, Misteli T. Formation of nuclear splicing factor compartments is independent of lamins A/C. Mol Biol Cell. 2004 Nov;15(11):4904-10. Epub 2004 Sep 8. PubMed PMID: 15356259; PubMed Central PMCID: PMC524741. Velický J, Titlbach M, Lojda Z, Dusková J, Vobecký M, Raska I. The effect of bromide on the ultrastructure of rat thyrocytes. Ann Anat. 2004 Jun;186(3):209-16. PubMed PMID: 15255296. Raska I. Searching for active ribosomal genes. Prog Mol Subcell Biol. 2004;35:23-56. Review. PubMed PMID: 15113078. Raska I. Oldies but goldies: searching for Christmas trees within the nucleolar architecture. Trends Cell Biol. 2003 Oct;13(10):517-25. Review. PubMed PMID: 14507479. Malínský J, Koberna K, Bednár J, Stulík J, Raska I. Searching for active ribosomal genes in situ: light microscopy in light of the electron beam. J Struct Biol. 2002 Oct-Dec;140(1-3):227-31. PubMed PMID: 12490170. Kuchárová-Mahmood S, Raska I, Mechler BM, Farkas R. Temporal regulation of Drosophila salivary gland degeneration by the Broad-Complex transcription factors. J Struct Biol. 2002 Oct-Dec;140(1-3):67-78. PubMed PMID: 12490155. Tvrdík D, Djaborkhel R, Nagy A, Eckschlager T, Raska I, Müller J. Cyclin D-cdk6 complex is targeted by p21(WAF) in growth-arrested lymphoma cells. J Struct Biol. 2002 Oct-Dec;140(1-3):49-56. PubMed PMID: 12490153. Raska I, Aebi U. EMBO workshop "The functional organization of the cell nucleus" held in Prague, Czech Republic, April 18 to 21, 2002. J Struct Biol. 2002 Oct-Dec;140(1-3):1-2. PubMed PMID: 12490147. Koberna K, Malínský J, Pliss A, Masata M, Vecerova J, Fialová M, Bednár J, Raska I. Ribosomal genes in focus: new transcripts label the dense fibrillar components and form clusters indicative of "Christmas trees" in situ. J Cell Biol. 2002 May 27;157(5):743-8. Epub 2002 May 28. Erratum in: J Cell Biol 2002 Jul 22;158(2):369. PubMed PMID: 12034768; PubMed Central PMCID: PMC2173423. Politi V, Perini G, Trazzi S, Pliss A, Raska I, Earnshaw WC, Della Valle G. CENP-C binds the alpha-satellite DNA in vivo at specific centromere domains. J Cell Sci. 2002 Jun 1;115(Pt 11):2317-27. PubMed PMID: 12006616. Kopský V, Vecerová J, Melcák I, Pliss A, Stulík J, Koberna K, Tomásková L, Raska I. An ATP-dependent step is required for the translocation of microinjected precursor mRNA into nuclear speckles. Folia Biol (Praha). 2002;48(2):69-72. PubMed PMID: 12002677. Stokrová J, Korb J, Pliss A, Raska I, Stulík J, Dvoráková M. Overexpression of v-myb oncogene or c-myb proto-oncogene in insect cells: characterization of newly induced nucleolus-like structures accumulating Myb protein. Int J Mol Med. 2002 May;9(5):547-54. PubMed PMID: 11956664. Stanek D, Koberna K, Pliss A, Malínský J, Masata M, Vecerová J, Risueño MC, Raska I. Non-isotopic mapping of ribosomal RNA synthesis and processing in the nucleolus. Chromosoma. 2001 Dec;110(7):460-70. Epub 2001 Nov 9. PubMed PMID: 11862453. Grandi P, Eltsov M, Nielsen I, Raska I. DNA double-strand breaks induce formation of RP-A/Ku foci on in vitro reconstituted Xenopus sperm nuclei. J Cell Sci. 2001 Sep;114(Pt 18):3345-57. PubMed PMID: 11591822. Melcák I, Melcáková S, Kopský V, Vecerová J, Raska I. Prespliceosomal assembly on microinjected precursor mRNA takes place in nuclear speckles. Mol Biol Cell. 2001 Feb;12(2):393-406. PubMed PMID: 11179423; PubMed Central PMCID: PMC30951. Malínsky J, Koberna K, Stanĕk D, Masata M, Votruba I, Raska I. The supply of exogenous deoxyribonucleotides accelerates the speed of the replication fork in early S-phase. J Cell Sci. 2001 Feb;114(Pt 4):747-50. PubMed PMID: 11171380. Müller J, Tvrdík D, Dvorák R, Djaborkhel R, Mandys V, Bednár B, Raska I, Lojda Z. Expression of beta-catenins and cadherins by follicular dendritic cells in human lymph nodes. Acta Histochem. 2000 Nov;102(4):369-80. PubMed PMID: 11145530. Djaborkhel R, Tvrdík D, Eckschlager T, Raska I, Müller J. Cyclin A down-regulation in TGFbeta1-arrested follicular lymphoma cells. Exp Cell Res. 2000 Nov 25;261(1):250-9. PubMed PMID: 11082295. Benoist P, Feau P, Pliss A, Vorisek J, Antonelli R, Raska I, Denis-Duphil M. The yeast Ura2 protein that catalyses the first two steps of pyrimidines biosynthesis accumulates not in the nucleus but in the cytoplasm, as shown by immunocytochemistry and Ura2-green fluorescent protein mapping. Yeast. 2000 Oct;16(14):1299-312. PubMed PMID: 11015727. Raska I, Aebi U, Earnshaw WC. EMBO workshop report. An eclipse over the cell nucleus functional organization of the cell nucleus Prague, August 9-12, 1999. EMBO J. 2000 Aug 1;19(15):3843-8. PubMed PMID: 10921866; PubMed Central PMCID: PMC306611. Testillano PS, Coronado MJ, Seguí JM, Domenech J, González-Melendi P, Raska I, Risueño MC. Defined nuclear changes accompany the reprogramming of the microspore to embryogenesis. J Struct Biol. 2000 Apr;129(2-3):223-32. PubMed PMID: 10806072. Eltsov M, Grandi P, Raska I. Ultrastructural characterization of RPA-containing domains in nuclei assembled in Xenopus egg extracts. J Struct Biol. 2000 Apr;129(2-3):211-7. PubMed PMID: 10806070. Raska I I, Spector DL. An "Eclipse" over the cell nucleus at the turn of the century. J Struct Biol. 2000 Apr;129(2-3):101. PubMed PMID: 10806062. Stanek D, Kiss T, Raska I. Pre-ribosomal RNA is processed in permeabilised cells at the site of transcription. Eur J Cell Biol. 2000 Mar;79(3):202-7. PubMed PMID: 10777112. Koberna K, Stanĕk D, Malínský J, Ctrnáctá V, Cermanová S, Novotná J, Kopský V, Raska I. In situ fluorescence visualization of bromouridine incorporated into newly transcribed nucleolar RNA. Acta Histochem. 2000 Feb;102(1):15-20. PubMed PMID: 10726161. Melcák I, Cermanová S, Jirsová K, Koberna K, Malínský J, Raska I. Nuclear pre-mRNA compartmentalization: trafficking of released transcripts to splicing factor reservoirs. Mol Biol Cell. 2000 Feb;11(2):497-510. PubMed PMID: 10679009; PubMed Central PMCID: PMC14788. Koberna K, Stanek D, Malínský J, Eltsov M, Pliss A, Ctrnáctá V, Cermanová S, Raska I. Nuclear organization studied with the help of a hypotonic shift: its use permits hydrophilic molecules to enter into living cells. Chromosoma. 1999 Sep;108(5):325-35. PubMed PMID: 10525969. Raska I, Reimer G. Human autoantibodies identify a protein in dense fibrillar and granular components of the nucleolus. Acta Histochem. 1999 Apr;101(2):157-66. PubMed PMID: 10335359. Raska I, Pliss A, Mandys V, Risueno MC, Lojda Z. Processing of free cells for electron microscopy using a fibrin clot. Acta Histochem. 1998 Jul;100(3):309-13. PubMed PMID: 9717568. González-Melendi P, Testillano PS, Mena CG, Muller S, Raska I, Risueño MC. Histones and DNA ultrastructural distribution in plant cell nucleus: a combination of immunogold and cytochemical methods. Exp Cell Res. 1998 Jul 10;242(1):45-59. PubMed PMID: 9665801. Koberna K, Landa V, Kanka J, Pliss A, Eltsov M, Stanĕk D, Raska I. Non-isotopic detection of nucleolar transcription in pre-implantation mouse embryos. Reprod Nutr Dev. 1998 Jan-Feb;38(1):117-26. PubMed PMID: 9606754. Velický J, Titlbach M, Lojda Z, Dusková J, Vobecký M, Strbák V, Raska I. Long-term action of potassium bromide on the rat thyroid gland. Acta Histochem. 1998 Feb;100(1):11-23. PubMed PMID: 9542578. Velický J, Titlbach M, Lojda Z, Jelínek F, Vobecký M, Raska I. Expression of the proliferating cell nuclear antigen (PCNA) in the rat thyroid gland after exposure to bromide. Acta Histochem. 1997 Nov;99(4):391-9. PubMed PMID: 9429599. Stanek D, Vencovský J, Kafková J, Raska I. Heterogenous nuclear RNP C1 and C2 core proteins are targets for an autoantibody found in the serum of a patient with systemic sclerosis and psoriatic arthritis. Arthritis Rheum. 1997 Dec;40(12):2172-7. PubMed PMID: 9416854. Velický J, Titlbach M, Dusková J, Vobecký M, Strbák V, Raska I. Potassium bromide and the thyroid gland of the rat: morphology and immunohistochemistry, RIA and INAA analysis. Ann Anat. 1997 Oct;179(5):421-31. PubMed PMID: 9341949. Melcák I, Raska I. Structural organization of the pre-mRNA splicing commitment: a hypothesis. J Struct Biol. 1996 Nov-Dec;117(3):189-94. Review. PubMed PMID: 8986648. Schul W, Groenhout B, Koberna K, Takagaki Y, Jenny A, Manders EM, Raska I, van Driel R, de Jong L. The RNA 3' cleavage factors CstF 64 kDa and CPSF 100 kDa are concentrated in nuclear domains closely associated with coiled bodies and newly synthesized RNA. EMBO J. 1996 Jun 3;15(11):2883-92. PubMed PMID: 8654386; PubMed Central PMCID: PMC450226. Melcák I, Risueño MC, Raska I. Ultrastructural nonisotopic mapping of nucleolar transcription sites in onion protoplasts. J Struct Biol. 1996 Mar-Apr;116(2):253-63. PubMed PMID: 8812981. Raska I. Nuclear ultrastructures associated with the RNA synthesis and processing. J Cell Biochem. 1995 Sep;59(1):11-26. Review. PubMed PMID: 8530530. Raska I, Dundr M, Koberna K, Melcák I, Risueño MC, Török I. Does the synthesis of ribosomal RNA take place within nucleolar fibrillar centers or dense fibrillar components? A critical appraisal. J Struct Biol. 1995 Jan-Feb;114(1):1-22. PubMed PMID: 7772414. Strand D, Raska I, Mechler BM. The Drosophila lethal(2)giant larvae tumor suppressor protein is a component of the cytoskeleton. J Cell Biol. 1994 Dec;127(5):1345-60. PubMed PMID: 7962094; PubMed Central PMCID: PMC2120263. Dundr M, Raska I. Nonisotopic ultrastructural mapping of transcription sites within the nucleolus. Exp Cell Res. 1993 Sep;208(1):275-81. PubMed PMID: 8359221. Velický J, Titlbach M, Dvorák R, Lustig R, Raska I, Lhotová H, Mára M, Likovský Z. Experimental thyroiditis in guinea pigs and rabbits. Immunization with thyroglobulin and bovine thyroid gland suspension. Funct Dev Morphol. 1993;3(4):259-67. PubMed PMID: 7949404. Raska I, Dundr M, Koberna K. Structure-function subcompartments of the mammalian cell nucleus as revealed by the electron microscopic affinity cytochemistry. Cell Biol Int Rep. 1992 Aug;16(8):771-89. Review. PubMed PMID: 1280186. Raska I, Andrade LE, Ochs RL, Chan EK, Chang CM, Roos G, Tan EM. Immunological and ultrastructural studies of the nuclear coiled body with autoimmune antibodies. Exp Cell Res. 1991 Jul;195(1):27-37. PubMed PMID: 2055273. Andrade LE, Chan EK, Raska I, Peebles CL, Roos G, Tan EM. Human autoantibody to a novel protein of the nuclear coiled body: immunological characterization and cDNA cloning of p80-coilin. J Exp Med. 1991 Jun 1;173(6):1407-19. PubMed PMID: 2033369; PubMed Central PMCID: PMC2190846. Raska I, Michel LS, Jarnik M, Dundr M, Fakan S, Gasser S, Gassmann M, Hübscher U, Izaurralde E, Martinez E, et al. Ultrastructural cryoimmunocytochemistry is a convenient tool for the study of DNA replication in cultured cells. J Electron Microsc Tech. 1991 Jun;18(2):91-105. PubMed PMID: 1886006. Scudla V, Budíková M, Fischerová E, Raska I, Vavrdová V. [Serum beta 2-microglobulin in multiple myeloma. II. Its significance in monitoring the disease]. Vnitr Lek. 1991 May;37(5):479-87. Czech. PubMed PMID: 1842146. Scudla V, Budíková M, Fischerová E, Raska I, Vavrdová V. [Serum beta 2-microglobulin in multiple myeloma. I. Relation to selected indicators, clinical stage and disease prognosis]. Vnitr Lek. 1991 Apr;37(4):342-51. Czech. PubMed PMID: 2053304. Raska I, Petrasovicová V, Jarník M, Cebecauser L, Lukacovicová L, Lejnar J, Viklický V, Mácha J, Jíra M, Trnavský K. Autoantibodies against histones and actin in patients with rheumatic diseases assessed by the western blot method. Czech Med. 1991;14(3):135-45. PubMed PMID: 1807931. Raska I, Petrasovicová V, Jarník M, Cebecauer L, Lukacovicová L, Lejnar J, Viklický V, Mácha J, Jíra M, Trnavský K. [Autoantibodies against histones and actin determined by western blotting in patients with rheumatic diseases]. Cas Lek Cesk. 1990 Nov 23;129(47):1495-500. Czech. PubMed PMID: 2257596. Raska I, Ochs RL, Andrade LE, Chan EK, Burlingame R, Peebles C, Gruol D, Tan EM. Association between the nucleolus and the coiled body. J Struct Biol. 1990 Jul-Sep;104(1-3):120-7. PubMed PMID: 2088441. Raska I, Ochs RL, Salamin-Michel L. Immunocytochemistry of the cell nucleus. Electron Microsc Rev. 1990;3(2):301-53. Review. PubMed PMID: 2103346. Raska I, Koberna K, Jarník M, Petrasovicová V, Bednár J, Raska K Jr, Bravo R. Ultrastructural immunolocalization of cyclin/PCNA in synchronized 3T3 cells. Exp Cell Res. 1989 Sep;184(1):81-9. PubMed PMID: 2571512. Kostrouch Z, Raska I, Mandys V, Nedvídková J. [Functional ultrastructure of the thyroid gland in rats]. Sb Lek. 1989 Jul;91(7):208-12. Czech. PubMed PMID: 2799256. Raska I, Reimer G, Jarník M, Kostrouch Z, Raska K Jr. Does the synthesis of ribosomal RNA take place within nucleolar fibrillar centers or dense fibrillar components? Biol Cell. 1989;65(1):79-82. PubMed PMID: 2539876. Reimer G, Raska I, Scheer U, Tan EM. Immunolocalization of 7-2-ribonucleoprotein in the granular component of the nucleolus. Exp Cell Res. 1988 May;176(1):117-28. PubMed PMID: 3286276. Raska I, Kostrouch Z. [An immunocytochemistry method for frozen ultrathin sections]. Cesk Patol. 1988 Mar;24(1):39-44. Czech. PubMed PMID: 3359517. Korcáková L, Sálková J, Lejnar J, Kaslík J, Raska I. Labelling of a T lymphocyte subpopulation with monoclonal antibody bound to colloidal gold. Correlation with the indirect immunofluorescence method. Folia Biol (Praha). 1988;34(4):209-14. PubMed PMID: 3071478. Korcáková L, Kaslík J, Svobodová J, Nozicková M, Horák J, Kocandrle V, Fabián J, Raska I, Lejnar J, Franková V, et al. Natural killer cells and cytomegalovirus and Epstein-Barr virus infection in cardiac graft recipients. Cor Vasa. 1988;30(6):435-41. PubMed PMID: 2853033. Korcáková L, Raska I, Kaslík J. [Determination of T-lymphocyte subpopulations using monoclonal antibodies bound to colloidal gold. Correlation with the double immunofluorescence technic]. Cas Lek Cesk. 1987 Dec 18;126(51):1591-4. Czech. PubMed PMID: 3327585. Gregor P, Jíra M, Raska I, Strejcek J, Widimský P, Vísek V, Cervenka V, Jarník M. [Autoantibodies in hypertrophic cardiomyopathy. II. Relation to the clinical manifestations of the disease]. Vnitr Lek. 1987 Nov;33(11):947-52. Czech. PubMed PMID: 3439036. Kostrouch Z, Raska I, Felt V, Nedvídková J, Holecková E. Internalization of triiodothyronine-bovine serum albumin-colloidal gold complexes in human peripheral leukocytes. Experientia. 1987 Oct 15;43(10):1119-20. PubMed PMID: 3666093. Kostrouch Z, Felt V, Raska I, Nedvídková J, Holecková E. Binding of (125I) triiodothyronine to human peripheral leukocytes and its internalization. Experientia. 1987 Oct 15;43(10):1117-8. PubMed PMID: 3666092. Jíra M, Gregor P, Raska I, Jarník M, Strejcek J, Vísek V. [Autoantibodies in hypertrophic cardiomyopathy. I. Incidence of antibodies against actin]. Vnitr Lek. 1987 Oct;33(10):904-9. Czech. PubMed PMID: 3318099. Gregor P, Jíra M, Raska I, Strejcek J, Widimský P, Vísek V, Cervenka V, Jarník M. Autoantibodies in hypertrophic cardiomyopathy and their clinical significance. Eur Heart J. 1987 Jul;8(7):773-8. PubMed PMID: 3653127. Scheer U, Messner K, Hazan R, Raska I, Hansmann P, Falk H, Spiess E, Franke WW. High sensitivity immunolocalization of double and single-stranded DNA by a monoclonal antibody. Eur J Cell Biol. 1987 Jun;43(3):358-71. PubMed PMID: 3305019. Reimer G, Raska I, Tan EM, Scheer U. Human autoantibodies: probes for nucleolus structure and function. Virchows Arch B Cell Pathol Incl Mol Pathol. 1987;54(3):131-43. Review. PubMed PMID: 2894087. Raska I, Cebecauer L, Lejnar J. [Characterization of non-specific organ autoantibodies]. Cas Lek Cesk. 1985 Sep 13;124(37):1162-6. Czech. PubMed PMID: 3876154. Raska I, Valouch P, Armbruster BL, Hinterberger M, Malý A, Vorlícek J, Smetana K, Kellenberger E. Ultrastructural localization of rRNA in HeLa cells, rat liver cells and Xenopus laevis oocytes by means of the monoclonal antibody--protein a--gold technique. Histochem J. 1985 Aug;17(8):925-38. PubMed PMID: 2415490. Raska I, Kostrouch Z, Habrová V, Nedvídek J, Zatsepina OV, Neuzil A, Trebichavský I, Koukal M, Smetana K. [Use of colloidal gold in ultrastructural cytochemistry]. Cesk Patol. 1985 Feb;21(1):28-37. Czech. PubMed PMID: 3882253. Raska I, Kostrouch Z, Valouch P, Trebichavský I, Nedvídek J, Smetana K. [Preparation of colloidal gold and its macromolecular complexes]. Cesk Patol. 1985 Feb;21(1):19-27. Czech. PubMed PMID: 3882252. Moos J, Raska I, Sládeĉek F. Premelanosomes in the oocytes of Triturus cristatus. Folia Morphol (Praha). 1985;33(1):99-102. PubMed PMID: 3988180. Armbruster BL, Wunderli H, Turner BM, Raska I, Kellenberger E. Immunocytochemical localization of cytoskeletal proteins and histone 2B in isolated membrane-depleted nuclei, metaphase chromatin, and whole Chinese hamster ovary cells. J Histochem Cytochem. 1983 Dec;31(12):1385-93. PubMed PMID: 6355287. Raska I, Armbruster BL, Jíra M, Hána I, Kaslík J, Rovenský J, Smetana K. Ultrastructural localization of DNA in tissue culture cell nuclei by means of enzyme-gold and autoimmune sera-protein A-gold techniques. Biol Cell. 1983;48(2-3):211-4. PubMed PMID: 6673797. Raska I, Armbruster BL, Frey JR, Smetana K. Analysis of ring-shaped nucleoli in serially sectioned human lymphocytes. Cell Tissue Res. 1983;234(3):707-11. PubMed PMID: 6661758. Raska I, Rychter Z, Smetana K. Fibrillar centres and condensed nucleolar chromatin in resting and stimulated human lymphocytes. Z Mikrosk Anat Forsch. 1983;97(1):15-32. PubMed PMID: 6636959. Raska I, Nedvídek J. 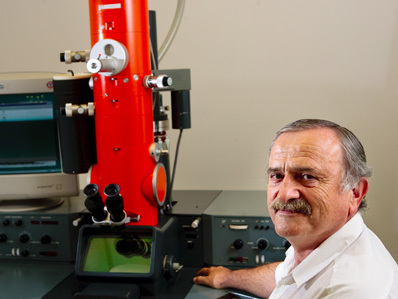 [Ultrathin sections and high-resolution electron microscopy]. Cesk Fysiol. 1983;32(3):215-36. Czech. PubMed PMID: 6347406. Raska I, Titlbach M, Boquist L, Emdin SO, Falkmer S. Optical diffraction analysis of crystalline inclusions in the rough endoplasmic reticulum of islet parenchymal cells of the hagfish, Myxine glutinosa. Cell Tissue Res. 1982;225(2):461-4. PubMed PMID: 6125267. Raska I, Novák J, Smetana K. Further ultrastructural studies on lymphocytic micronuclei. Folia Haematol Int Mag Klin Morphol Blutforsch. 1981;108(3):367-77. PubMed PMID: 6169597. Raska I, Novák J, Smetana K. Further studies on ring shaped nucleoli and micronucleoli of human peripheral lymphocytes. Folia Haematol Int Mag Klin Morphol Blutforsch. 1980;107(2):185-92. PubMed PMID: 6159257. Raska I, Komrska J, Titlbach M, Rieder M. Fine structure of crystalline inclusions in B-cells of the islets of Langerhans in the alligator. Cell Tissue Res. 1978 Mar 13;187(3):535-50. PubMed PMID: 205370. Raska I, Smetana K. A further contribution on nucleoli of human lymphocytes. Folia Haematol Int Mag Klin Morphol Blutforsch. 1978;105(2):200-15. PubMed PMID: 79525. Raska I. [Electron microscopy in biological professions: some aspects of image analysis and three-demensional recontruction]. Cesk Fysiol. 1977;26(1):61-76. Czech. PubMed PMID: 862077. Raska I, Mayer F, Edelbluth C, Schmitt R. Structure of plain and complex flagellar hooks of Pseudomonas rhodos. J Bacteriol. 1976 Feb;125(2):679-88. PubMed PMID: 1245467; PubMed Central PMCID: PMC236129. Smetana K, Raska I, Sebesta K. The effect of the Bacillus thuringiensis exotoxin on the fine nucleolar morphology and ultrastructure. Exp Cell Res. 1974 Aug;87(2):351-8. PubMed PMID: 4416221. Schmitt R, Raska I, Mayer F. Plain and complex flagella of Pseudomonas rhodos: analysis of fine structure and composition. J Bacteriol. 1974 Feb;117(2):844-57. PubMed PMID: 4129995; PubMed Central PMCID: PMC285582. Scraba DG, Raska I, Kellenberger E. Electron microscopy of polyheads of bacteriophage T4 prepared by freeze-etching. J Ultrastruct Res. 1973 Jul;44(1):27-40. PubMed PMID: 4580470. Raska I, Rerábková E, Horejsí J, Smetana K. Effect of histone on the nucleolar morphology of cells cultured in vitro. Z Zellforsch Mikrosk Anat. 1973 Mar 29;138(2):273-82. PubMed PMID: 4697624. Schmitt R, Raska I, Mayer F. [Fine structure and biochemistry of complex flagella and their flagellum hook in Pseudomonas rhodos]. Hoppe Seylers Z Physiol Chem. 1972 Oct;353(10):1564-5. German. PubMed PMID: 4649833. Schmitt R, Raska I, Mayer F. [Fine structure and biochemistry of flagellae from star-forming bacteria]. Zentralbl Bakteriol Orig A. 1972 May;220(1):347-50. German. PubMed PMID: 4145596. Smetana K, Raska I, Kusák V. A note on the nucleolar ultrastructure in human not-leukemic lymphocytes. Folia Haematol Int Mag Klin Morphol Blutforsch. 1972;98(2):140-6. PubMed PMID: 4122841.